↑ 1.0 1.1 1.2 Francis Wakefield (January 29, 2019). "AFP releases names of casualties of Jolo blast". Manila Bulletin. สืบค้นเมื่อ January 30, 2019. ↑ 2.0 2.1 "Military eyes Abu Sayyaf behind twin blasts in Jolo". ABS-CBN News. 27 January 2019. สืบค้นเมื่อ 28 January 2019. ↑ Jim Gomez (28 January 2019). "Duterte to see site of fatal bombings, Abu Sayyaf suspected". Associated Press. Reading Eagle. สืบค้นเมื่อ 28 January 2019. ↑ 4.0 4.1 Frances Mangosing (28 January 2019). "Abu Sayyaf's Ajang-Ajang faction eyed as suspects behind Jolo blasts". Philippine Daily Inquirer. สืบค้นเมื่อ 28 January 2019. ↑ "At least 20 people killed in Philippines church bombing". Sky News. สืบค้นเมื่อ 2019-01-27. 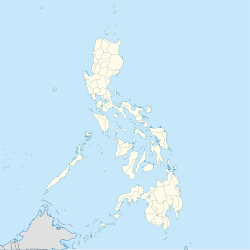 ↑ "Jolo church attack: Many killed in Philippines". BBC. สืบค้นเมื่อ 2019-01-27. ↑ "Jolo church attack: Many killed in Philippines". BBC News. 27 January 2019. สืบค้นเมื่อ 27 January 2019. ↑ Bong Sarmiento; Edwin Fernandez; Julie Alipala (27 January 2019). "Abu Sayyaf bomb plot uncovered 'months ago' – peace advocate". Philippine Daily Inquirer. สืบค้นเมื่อ 28 January 2019. ↑ "Twin bombings in the Philippines: Condolences from the Argentine Government". Ministry of Foreign Affairs and Worship, Argentina. January 28, 2019. สืบค้นเมื่อ January 31, 2019. ↑ Joyce Ann L. Rocamora (January 27, 2019). "Australia, EU condole with PH amid Jolo bombings". Philippine News Agency. สืบค้นเมื่อ January 28, 2019. ↑ "Ministry of Foreign Affairs of Kingdom of Bahrain condemns double terrorist bombings targeting a church in Republic of Philippines". Ministry of Foreign Affairs, Bahrain. January 27, 2019. สืบค้นเมื่อ January 29, 2019. ↑ "Terrorist attack in the Philippines". Ministry of Foreign Affairs, Brazil. January 28, 2019. สืบค้นเมื่อ January 29, 2019. ↑ "Message of Condolence to the President of the Republic of the Philippines on the Recent Bombing in Jolo, Sulu". Ministry of Foreign Affairs, Brunei. January 30, 2019. สืบค้นเมื่อ January 31, 2019. ↑ "Canada condemns bomb attacks on a church in southern Philippines". Government of Canada. January 27, 2019. สืบค้นเมื่อ January 28, 2019. ↑ "Foreign Ministry Spokesperson Geng Shuang's Regular Press Conference on January 28, 2019". Ministry of Foreign Affairs, China. January 28, 2019. สืบค้นเมื่อ January 28, 2019. China strongly condemns the violent attacks in Sulu province of the Philippines on innocent civilians. We express our condolences to the victims and sympathies the injured and the bereaved families. China opposes all forms of terrorism and stands ready to work with the international community including the Philippines to jointly combat threats and challenges posed by terrorism and safeguard international and regional peace and stability. ↑ "Egypt condemns the terrorist attack near Church in southern Philippines". Ministry of Foreign Affairs, Egypt. January 27, 2019. สืบค้นเมื่อ January 29, 2019. ↑ "Philippines – Attack against the cathedral on Jolo Island (27 January 2019)". Ministry of Europe and Foreign Affairs, France. January 27, 2019. สืบค้นเมื่อ January 29, 2019. ↑ "Hungary has offered the victims of the Philippines terrorist attack emergency assistance within the framework of the Hungary Helps Program". Prime Minister’s Office, Hungary. Government of Hungary. January 29, 2019. สืบค้นเมื่อ January 30, 2019. ↑ "Indonesia Condemns the Terror Attack in Jolo, Philippines". Ministry of Foreign Affairs, Indonesia. January 28, 2019. สืบค้นเมื่อ January 28, 2019. ↑ "Iran's Foreign Ministry Condemns Philippines Bombing". Ministry of Foreign Affairs, Iran. January 27, 2019. สืบค้นเมื่อ January 29, 2019. ↑ Aryeh Savir (January 30, 2019). "Israel Conveys Condolences to Philippines After ISIS Attack at Church". TPS. The Jewish Voice. สืบค้นเมื่อ January 31, 2019. ↑ "Message of condolence from Foreign Minister Taro Kono following the terror attack in Jolo, Sulu, the Philippines". Ministry of Foreign Affairs, Japan. January 29, 2019. สืบค้นเมื่อ January 29, 2019. ↑ Christia Marie Ramos (January 29, 2019). "Norway condoles with kin of Jolo blast victims". Philippine Daily Inquirer. สืบค้นเมื่อ January 29, 2019. ↑ "Qatar condemns Philippines church bombings". Qatar News Agency. Qatar Tribune. January 28, 2019. สืบค้นเมื่อ January 29, 2019. ↑ "Condolences to President of the Republic of the Philippines Rodrigo Duterte". President of Russia. January 27, 2019. สืบค้นเมื่อ January 29, 2019. A crime committed against civilians who had congregated for church services is shocking in its cynicism and cruelty. I expect that the masterminds and perpetrators of this crime will sustain the punishment they deserve. I would like to reiterate our readiness to further step up interaction with our Philippine partners in combating the terrorist threat in all its forms and manifestations. ↑ "Saudi Arabia Offers Condolences to Philippines over Church Bombings". Asharq Al-Awsat. January 28, 2019. สืบค้นเมื่อ January 28, 2019. ↑ "Security Council Press Statement on Terrorist Attack in Sulu Province, the Philippines". Department of Foreign Affairs, South Africa. January 28, 2019. สืบค้นเมื่อ January 29, 2019. ↑ "Terrorist Attack at a Cathedral in the Philippines". Ministry of Foreign Affairs, European Union and Cooperation, Spain. January 27, 2019. สืบค้นเมื่อ January 29, 2019. ↑ "Press Release : Messages of Condolence from the Prime Minister of the Kingdom of Thailand and the Minister of Foreign Affairs of the Kingdom of Thailand on the attacks on the Cathedral of Our Lady of Mount Carmel in the Philippines". Ministry of Foreign Affairs, Thailand. January 31, 2019. สืบค้นเมื่อ January 31, 2019. ↑ "No:16, 27 January 2019, Press Release Regarding The Explosions At A Cathedral In Southern Philippines". Embassy of Turkey in Malaysia. January 27, 2019. สืบค้นเมื่อ January 29, 2019. ↑ "Statement on BOL ratification issued by British Embassy Manila". Government of the United Kingdom. January 28, 2019. สืบค้นเมื่อ January 28, 2019. The UK condemns Sunday’s bomb attack in Jolo. The Minister for Asia and the Pacific and the British Ambassador have both offered their condolences. ↑ Sung Kim [USAmbManila] (January 28, 2019). "My deepest sympathies for the tragic loss of life in Jolo. We condemn this senseless violence and we will do everything possible to support the Armed Forces of the Philippines" (ทวีต). สืบค้นเมื่อ January 31, 2019 – โดยทาง ทวิตเตอร์. ↑ "Vietnam strongly condemns bomb attacks in Philippines". Nhân Dân. January 28, 2019. สืบค้นเมื่อ January 28, 2019. หน้านี้แก้ไขล่าสุดเมื่อวันที่ 1 กุมภาพันธ์ 2562 เวลา 06:13 น.